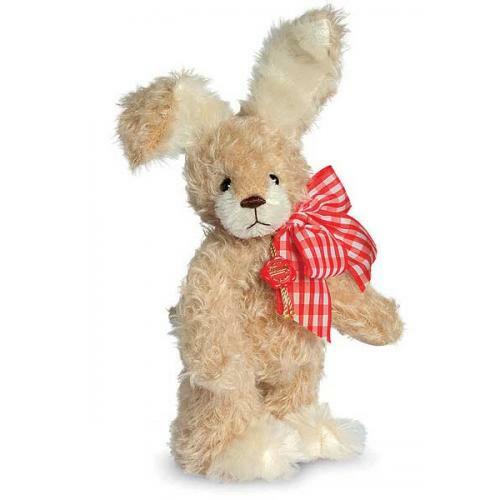 Teddy Hermann Stuppsi Rabbit, Fully jointed and made of the finest beige and white Mohair. Limited edition of 300 worldwide. Product details: Safety eyes, synthetic filling material, non growler, Mohair, surface washable only, size 25cm tall. ONLY a Few available at this Offer Price!